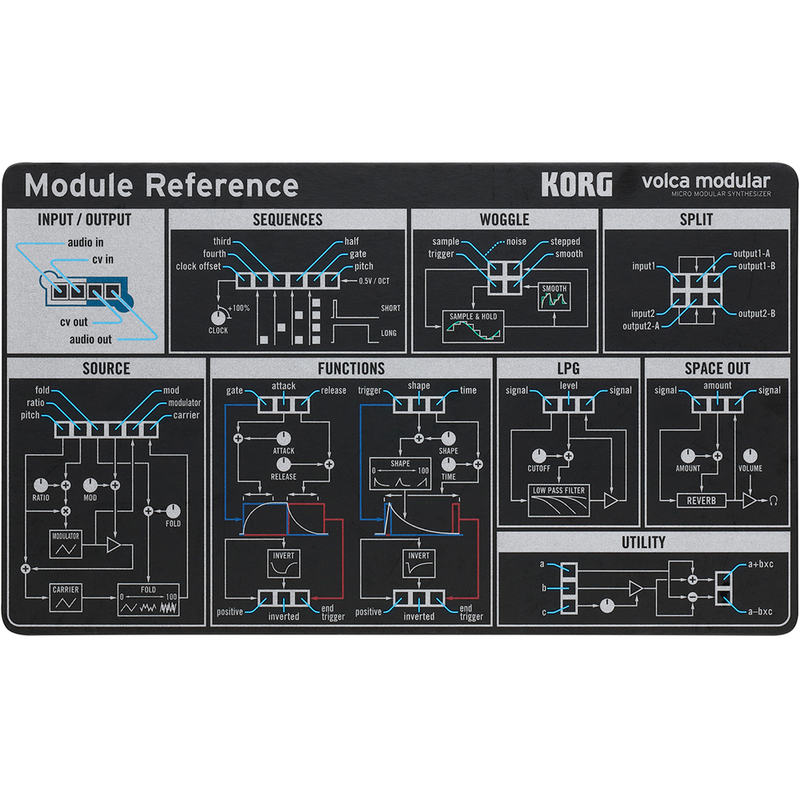 The Korg volca modular is a semi-modular synthesizer consisting of independent analog synth modules, digital effects, and a sequencer. Each of the modules has been carefully selected for its stand-alone completeness. 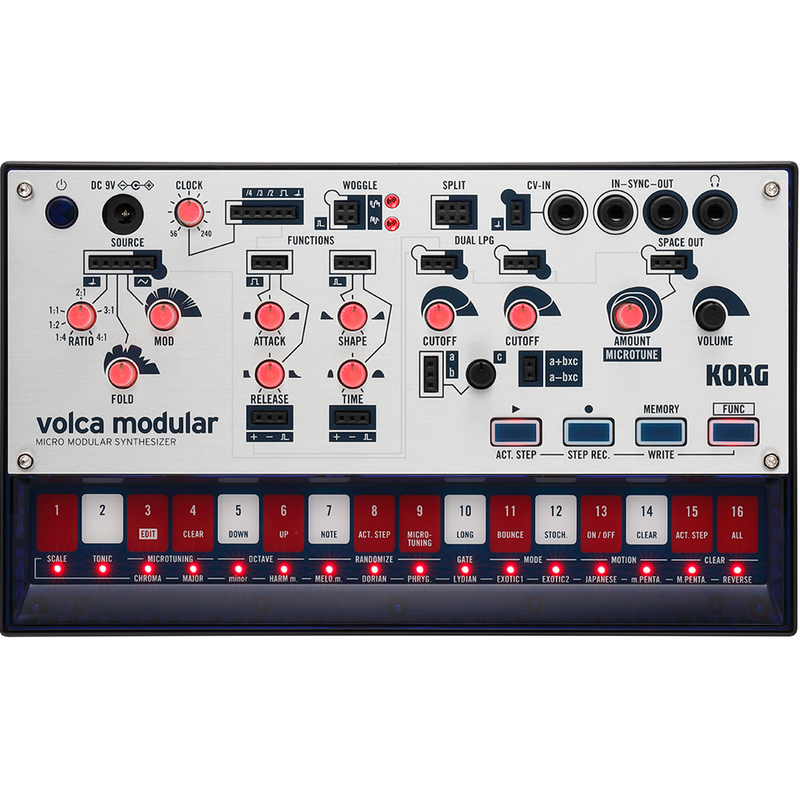 The modules are internally connected so that sound can be produced even before connecting the included pin cables, and the routing is shown by white lines on the panel. Module connections via a pin cable take priority over the internal connections, bypassing them. 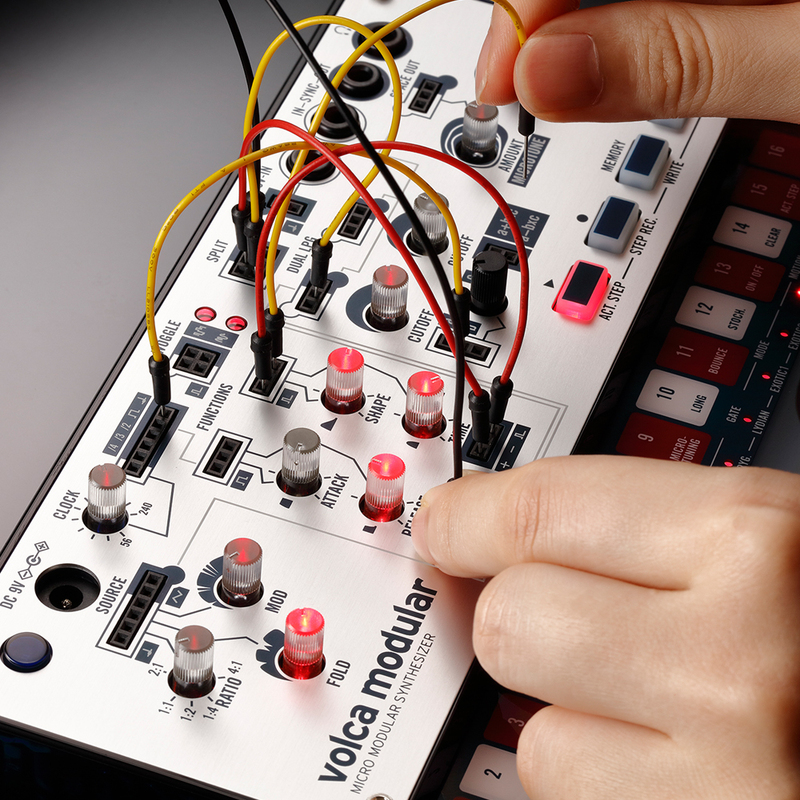 volca modular’s modules are connected via the included pin cables, allowing a diverse range of combinations. The unit's compact chassis provides 50 patch points. 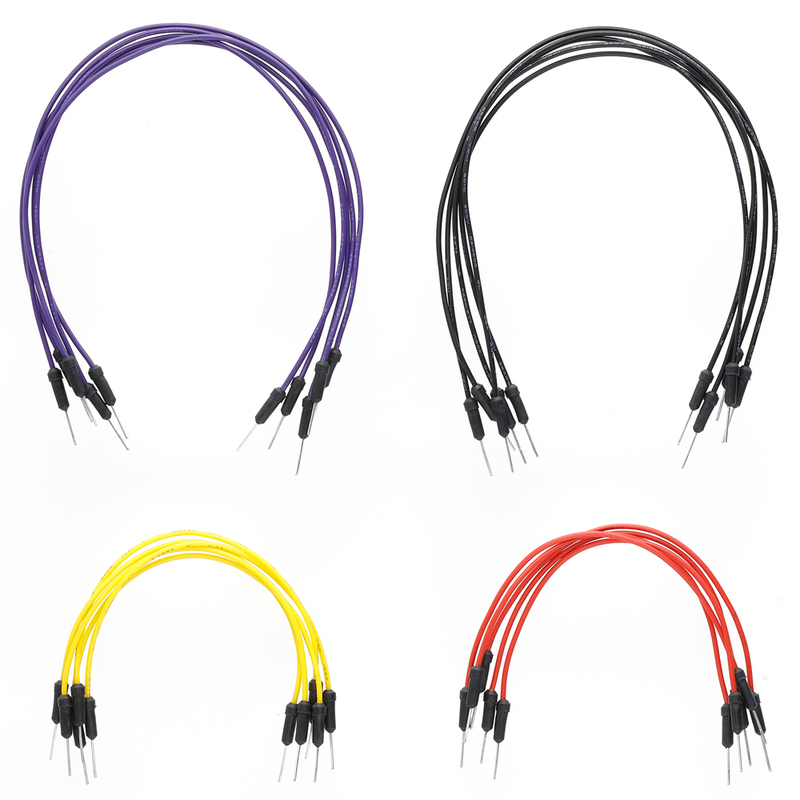 Inputs and outputs are color-coded for recognition at a glance, and the signals are also marked by symbols to indicate audio, control, gate or trigger. 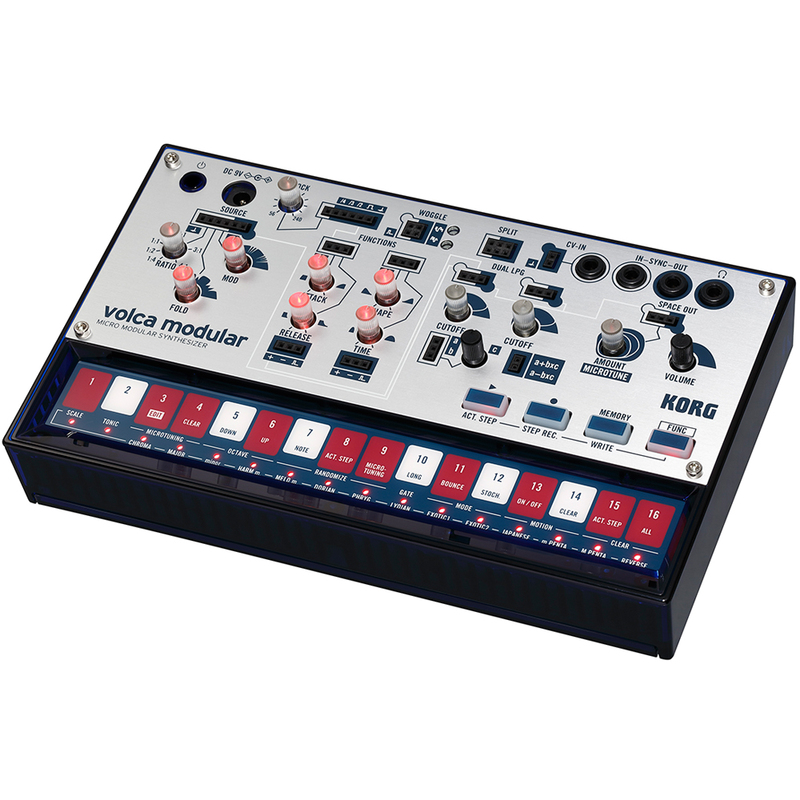 Normally, each signal is connected according to its use, but on the volca modular, signal levels are universally compatible between modules, allowing hidden possibilities to arise from patching that defies common sense. 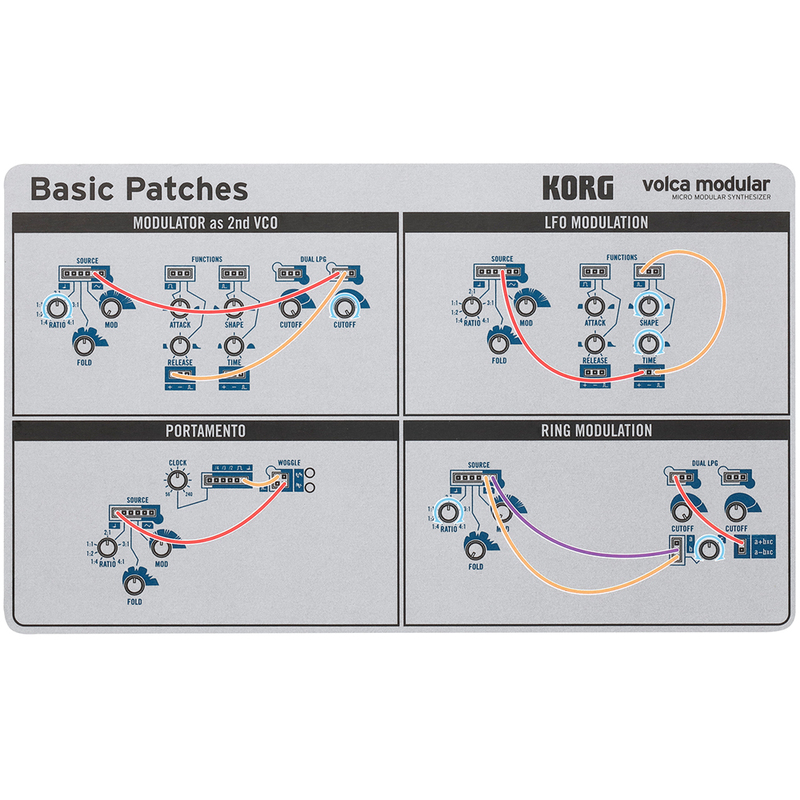 Twenty pin cables are included, and also included is a reference sheet explaining each patch point and providing basic examples of patching.